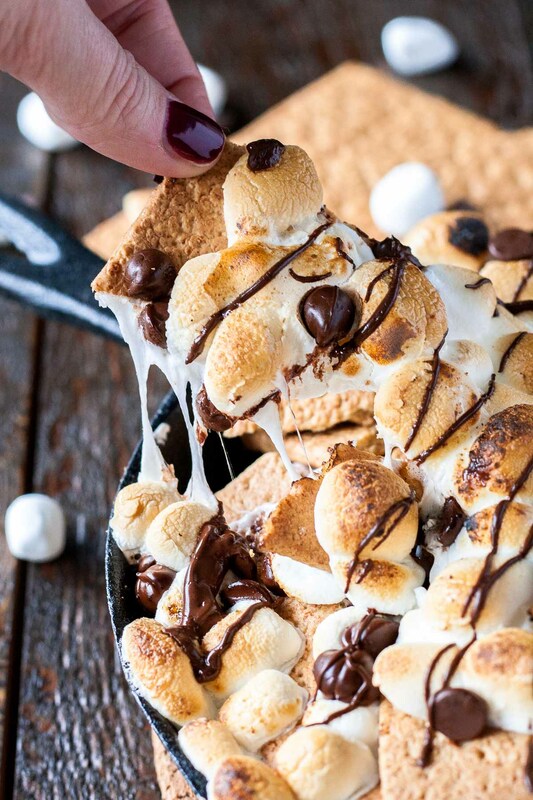 These S’mores Nachos are the easiest dessert you will ever make. Just 10 minutes and 3 simple ingredients! 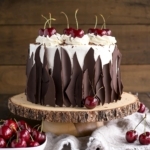 I am super excited about this post for two reasons: 1) it’s part of a collaboration I’m doing again with some fabulous Canadian blogger friends — hosted by my friend Sam at My Kitchen Love, and 2) it’s literally the easiest dessert you’ll ever make. Or certainly the easiest one I’ve ever made. Honestly, even calling this a recipe is a bit of a stretch, but I suppose that’s the case with most nachos, right?? You’d think I was a s’mores fanatic with the amount of s’mores recipes I have. Truthfully, I don’t care for them that much (cue gasps). Ryan loves them though, and keeps coming up with s’mores recipes for me to make, so I keep making them. Don’t get me wrong, I’m not going to turn down a s’mores anything if it was placed in front of me, but if I had the option to choose something else, I probably would. Although that toasted marshmallow? I am ALL over that. 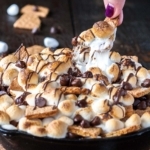 For these S’mores Nachos, I’ve listed the amounts I used for each ingredient in the recipe, but it’s really up to you and however you want to make them. I like a LOT of marshmallow, so I loaded mine up. I highly recommend layering — some graham crackers, some marshmallows, some chocolate chips, repeat. 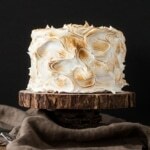 The best part is the middle, with all the gooey melted marshmallow! 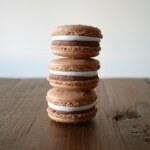 The graham crackers do soften over time, especially the ones down at the bottom with all the gooey marshmallow. If this happens, you can just use extra graham crackers and treat it like a dip instead. Win-win? I think so. The two of us could not eat all of these S’mores Nachos all in one sitting, but we tried! Reheating it is super simple too — just pop it back into to oven for a few minutes to warm up. Easiest. Dessert. Ever. Even as a non-s’mores lover, I am a huge fan! Be sure to check out all of the creative nacho recipes from my blogger friends after the recipe! If you don’t have a cast iron skillet, you can use any oven safe dish or pan (casserole dish, cake pan, etc.). The ingredient amounts listed are approximate — use more or less of anything you like! 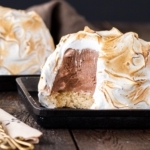 If you like these, be sure to check out these S’mores Cookie Cups, this S’mores Cake, this S’mores Baked Alaska, and these S’mores macarons! 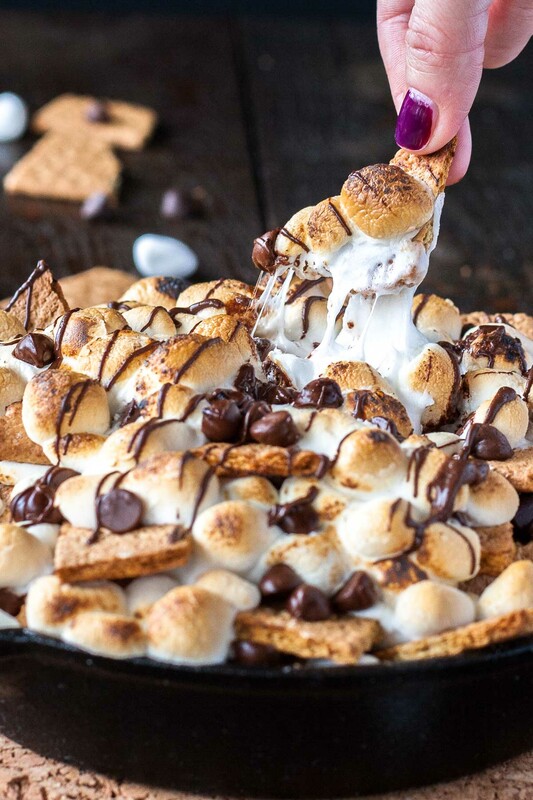 These S'mores Nachos are the easiest dessert you will ever make. Just 10 mins and 3 simple ingredients! 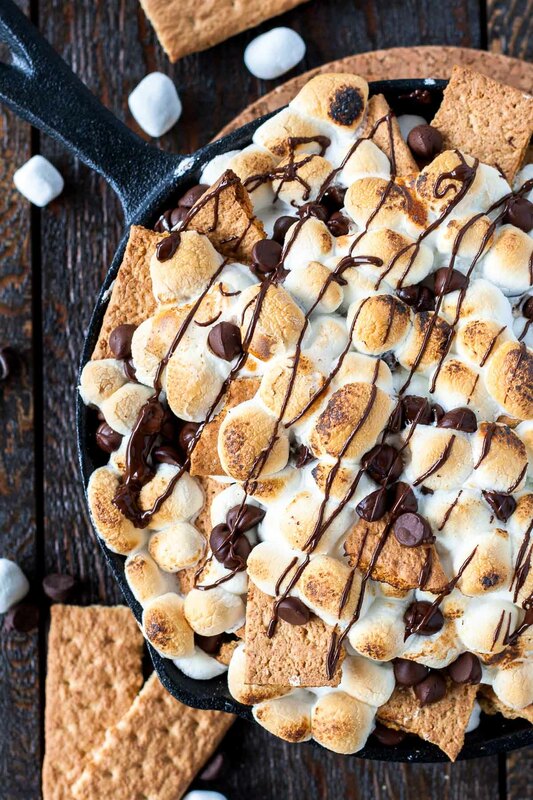 Fill an 8" cast iron skillet* with layers of graham crackers, chocolate chips, and marshmallows. Bake for 10-15mins or until marshmallows are golden (broil if desired). 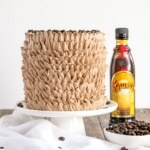 Drizzle with melted chocolate if desired. 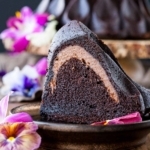 Allow to cool slightly before serving. *If you don't have a cast iron skillet, you can use any oven safe dish or pan (casserole dish, cake pan, etc.). The ingredient amounts listed are approximate -- use more or less of anything you like! 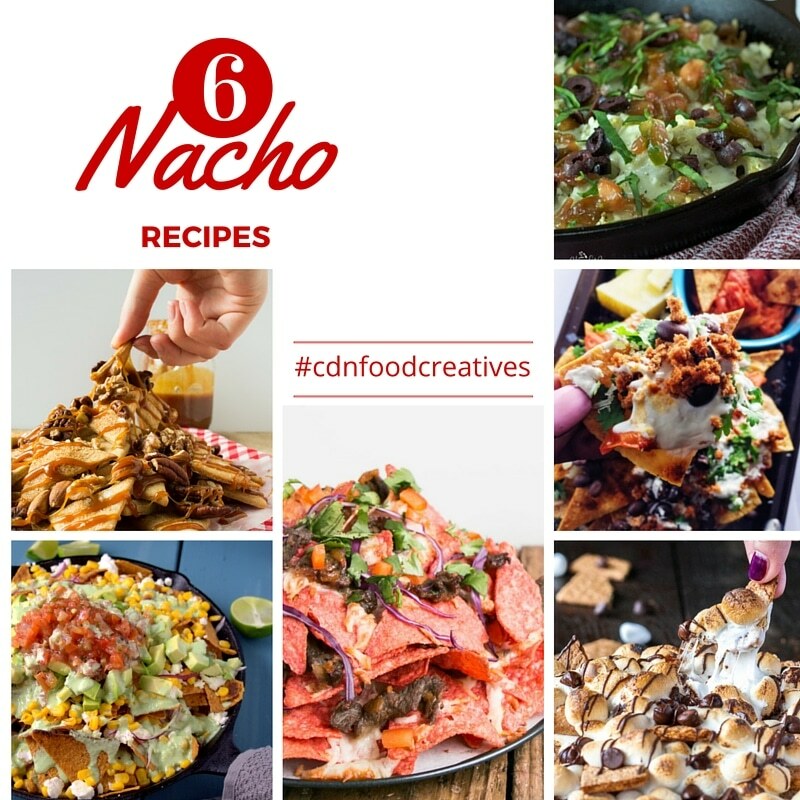 Six amazing Nacho recipes from six fabulous Canadian Food Bloggers! I made this last night(4th of July) everyone loved it. It was so delicious😋 Thanks for sharing this amazing recipe! So glad to hear that Sheilla! is it okay to use regular sized marshmallows? Hi Ayah, you can try but they might take longer to melt. Oh my god this looks INSANE!!! It’s a good thing I don’t have any marshmallows in the house right now because I’m home alone and I’m sure I’d eat the whole pan! Every time I visit this space, I laugh about how you claim to hate the photography aspect of blogging because Liv, your photos are f*cking beautiful (I swear only for enthusiastic emphasis!). Gorgeous gorgeous gorgeous! If this dish weren’t hot as Hades, I’d want to shove my face right in it. Melty, marshmallow-y chocolatey S’mores goodness all up in here! What a fantastic idea, now we can enjoy it in the down season. 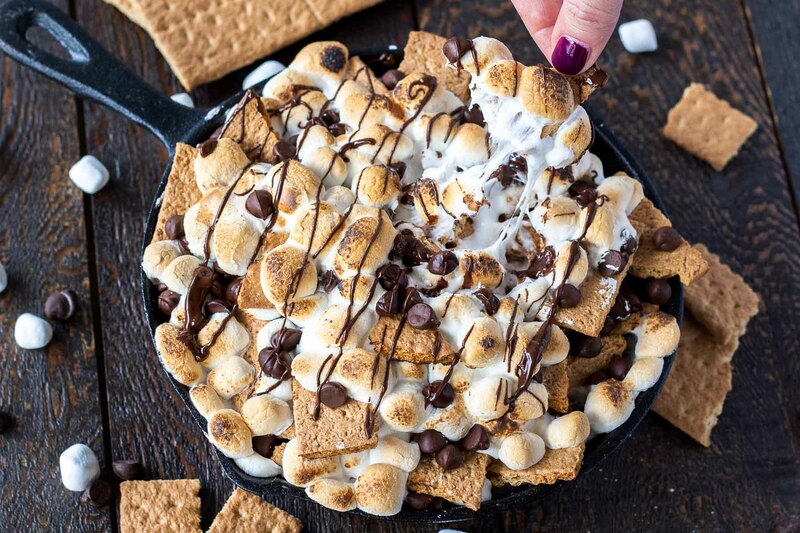 This looks insanely delicious, way easier then lighting a fire to toast marshmallows to make real s’mores. SO much easier, and this way you can have it year round too 🙂 Thanks Sharon! 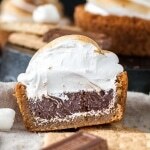 This looks so amazing, pinning and sharing, I love s’mores! OMG. OMG. OMG. Seriously, I have lost my words!! These look amazing. Thank you so much Jessie! 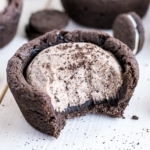 They taste amazing and are so easy to make, I hope you try them! 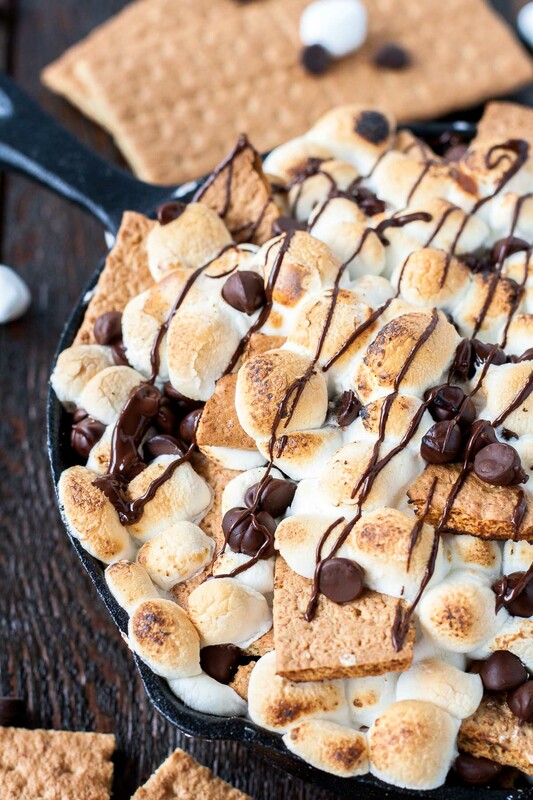 I don’t think you can ever go wrong with anything s’mores related.. and these nachos look TOO good. These turned out SO well! They look delicious and so straightforward to make. This is definitely another one of recipes I’ll have to try. High fives all around. Okay, I need to make these ASAP!!! I love those toasty marshmallows, they look delicious. So simple to make too! OMG these sound divine….perfect dessert nachos for sure.